We have the first official images from Royal Caribbean of what the final Perfect Day at CocoCay experience will look like, as the cruise line makes progress towards launching the revamped private island experience. First up is a view of the bridge over Oasis Lagoon with landscaping already added. Royal Caribbean promises Oasis Lagoon will be the Caribbean’s largest freshwater pool. Photo credit Royal Caribbean International. In addition, the first water slides being installed on Splash Summit. 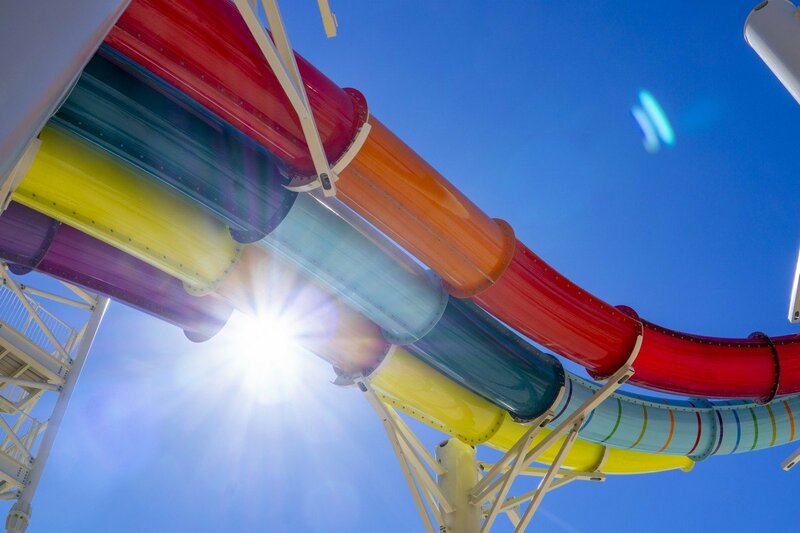 Splash Summit is part of the Thrill Waterpark area, and will include six multi-rider slides, including The Twister, a winding tube slide for two sharing a raft; The Slingshot, a zero-gravity slide for four; and the four-lane Splash Speedway racing slides. Royal Caribbean expects to open the first phase of Perfect Day at CocoCay in May 2019. Perfect Day at CocoCay is the first in Royal Caribbean's recently announced private island collection. 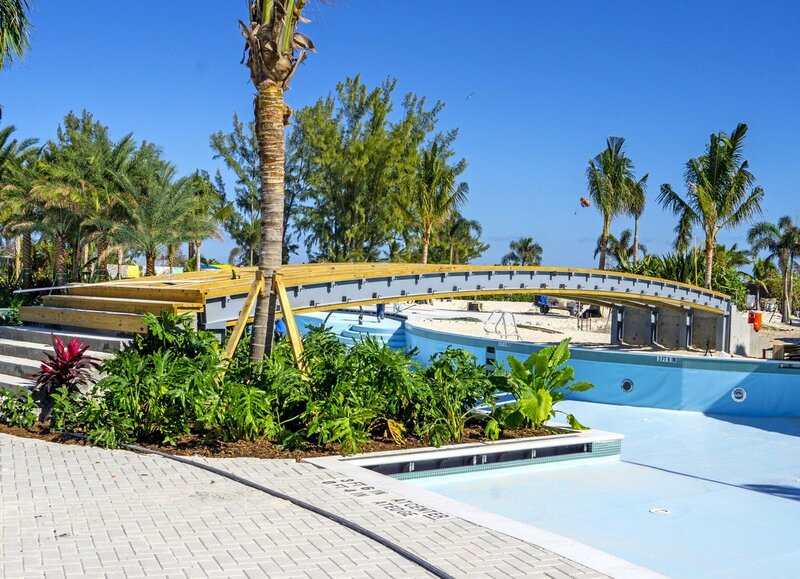 With a $200 million makeover, Perfect Day at CocoCay will feature Thrill Waterpark, Oasis Lagoon, Up, Up and Away helium balloon, Chill Island beach, and the action-packed South Beach with sports, paddle-boarding, glass-bottom kayaking and more.